We make the menu board triangle corners in bulk so we have an off the shelf solution. My manufacturing the menu board triangle corners in bulk we save time and and pass that saving on to you! Simply slip your paper into the triangle corners – Its that easy! 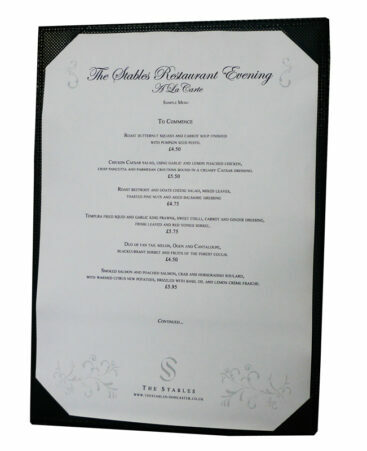 The menu board triangle corners is perfect for any cafe, bar or restaurant looking to improve on their menu presentation. 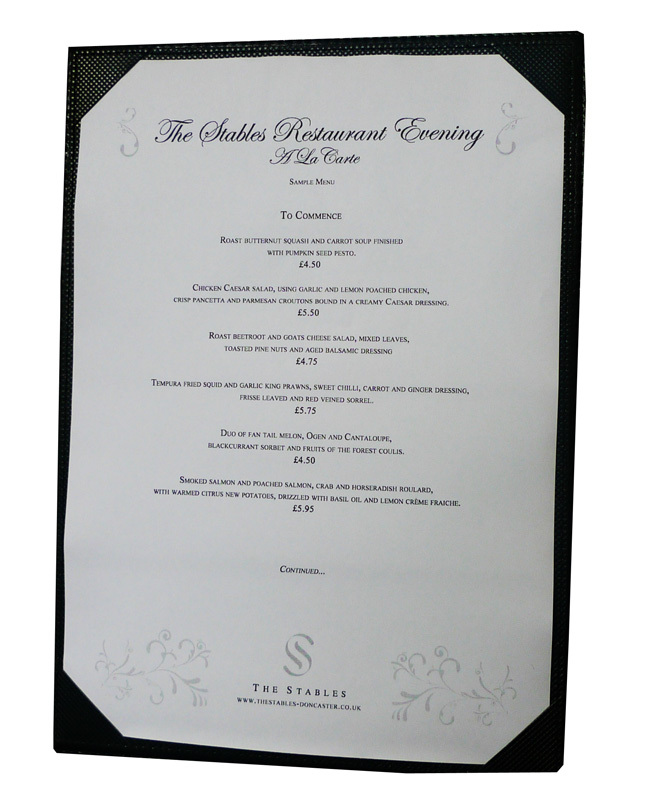 The menu board triangle frames is at the budget end of the range of our menu boards but it will wear extremely well make a cost effective versatile and menu board solution. As they are a stocked solution they come in black with frames – Both sides. SKU: MBA42. Category: Custom Menu Boards. Tag: homepage.